… that platelets are yellow ? I didn’t, until Margot urgently needed them and they were requested for immediate transfusion. We were at Great Ormond Street Hospital at the time having recently arrived via ambulance from Chelsea & Westminster Hospital, to go straight into the Paediatric Intensive Care Unit (PICU). 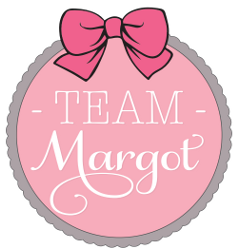 It was very early morning on 8 October 2013 and Margot had been diagnosed with leukaemia just a few hours earlier. On arrival in PICU, it was abundantly clear that this was an emergency. The medical team receiving us were already well aware of Margot’s perilous condition and went to work straightaway. I now know that when leukaemia advances, it does so very quickly because the leukaemia cells multiply in an exponential way. Margot’s own platelet count was extremely low at the time – the concern was that her blood might not clot – and so platelets were prescribed to help stabilise Margot’s clotting function. That would then enable the medical team to progress to the next step of an exchange transfusion, which is when they completely replace a patient’s red blood cells (which ARE red in colour). Margot’s own blood count was awful; she was so riddled with leukaemic blasts that her own blood was beyond rescue. And that’s when the red cells arrived. They too were on urgent request and looking back through my journal, I am reminded that the nurse who called to chase the red cells urged the person she was speaking to on the telephone to “tell the courier to hurry”. Basically, the initial plan was to first replace Margot’s “bad blood” with someone else’s good blood, to allow her chemotherapy treatment to begin: i.e. by replacing her red blood cells with an exchange transfusion, we weren’t treating the leukaemia but were simply buying time, so that Margot’s treatment could then begin. Hopefully. 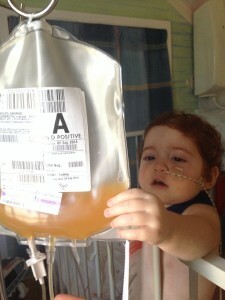 That day, the platelets and red blood cells saved Margot’s life. And that was just the first time. Thanks to all the anonymous, selfless and benevolent blood donors, Margot survived that particular episode and because there were continued blood products (both platelets and red cells) available upon request, we were able to enjoy being with Margot for a year longer than would otherwise have been possible. 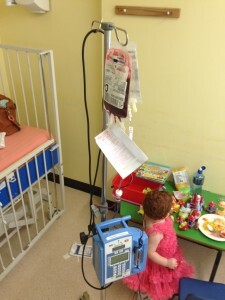 These platelets and red blood cells kept Margot clinically well and able to function “normally”. 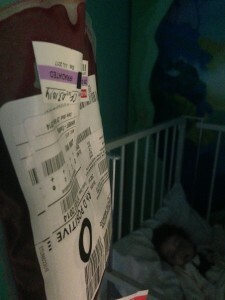 You might have noticed the differing blood types shown on the blood bags in these photographs. That’s partly because the photos are not shown in chronological order, but also because Margot’s blood type was O+, but her donor’s bone marrow produced a different blood type, so post transplant, Margot’s need for certain bloods switched to A+ and for a time, the blood flowing around her body was simultaneously a mix of both O+ and A+. Looking back, that first 10 day period in PICU was completely surreal. Vicki and I had to surrender Margot to the medical team. There was nothing else we could do – let alone to help Margot – other than to watch everything unfold, like some sort of terrible disaster film. 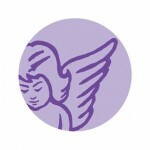 We felt totally and utterly helpless. When I asked the nurse whether the platelets and red cells being requested were available, she confirmed that they were, but that this wasn’t always the case. I felt massively relieved and hugely grateful. I hadn’t ever really paused to consider how people give blood regularly, for instances just like the situation we found ourselves in. And then, very quickly after that, I felt ashamed. Because I hadn’t ever given blood. I can’t change the past, but I can do something about the present and the future. That’s why I’m now a regular donor of red blood cells. You’re able to donate red cells every 3 months and platelets every two weeks or so. Unfortunately, I am unable to give platelets – whilst my vein structure is good and sufficiently robust, my platelet count isn’t high enough, so it’s not safe for me to donate platelets. It just goes to show how lucky we are here in the UK that there are platelet and red cell donors out there. 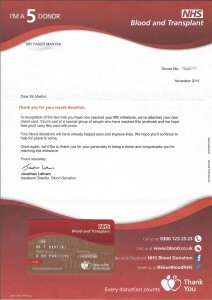 Consequently, I settle for being a regular red cell donor and am pleased to have received my “I’m a 5 donor” letter and card earlier this month. Being a blood donor makes me feel good about myself. If you’re not already a blood donor, you ought to give it a go. Finally, it’s also worth taking a moment to explain that for the vast majority of time, donating peripheral stem cells is much the same process as donating blood, except it takes longer. 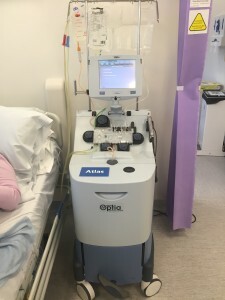 I recently visited UCLH and was privileged to be taken on a tour of their Haematology department, where they have 8 apheresis machines (thank you Lauren and Stephen for making this possible!). Apheresis is a highly specialised treatment which is used to collect or remove particular blood cells. This is the largest such department in the UK and I *think* in Europe too. Essentially, peripheral blood stem cells are donated by taking blood from one of the donor’s arms, running it through the apheresis machine where the stem cells are filtered out from the blood and then the blood is returned to the donor via their other arm, minus the stem cells. Registering as a potential stem cell donor is a one time action. And once registered, on average there’s only a 1 in 1,200 chance of being matched with a patient and being asked to actually donate – so much that sense, it’s unlike blood donation, which can be regular. 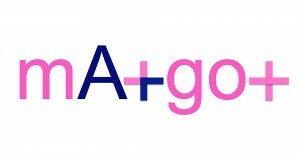 That’s why I refer to registering as a stem cell donor as being the “gateway” to other giving. 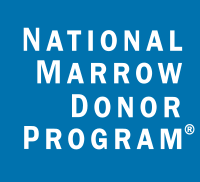 Click here to find out the difference between a stem cell transplant and a bone marrow transplant. For a more detailed explanation about the process of stem cell and bone marrow donation, please click here.